Law enforcement officials investigate the scene of a shooting in Garden Grove on Tuesday, Aug. 30, 2016. 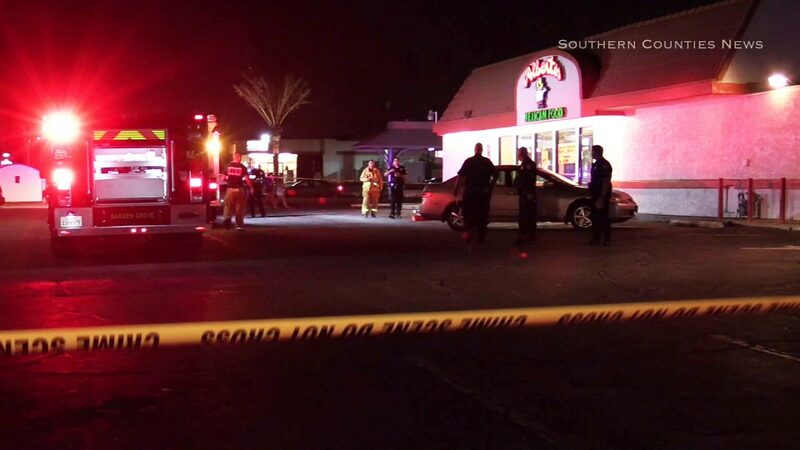 GARDEN GROVE, Calif. (KABC) -- A 15-year-old boy was critically injured after being shot in the chest in Garden Grove. The shooting occurred around 9:30 p.m. Tuesday in the 12500 block of Harbor Boulevard, near Alberto's Mexican Food. Paramedics rushed the teen to UCI Medical Center in Orange, where he underwent surgery. Police did not have an update on his condition on Wednesday. Police believe the incident is gang related, but that has not been confirmed. If you have any relevant information about this incident, you're urged to contact Garden Grove police at (714) 741-5704.